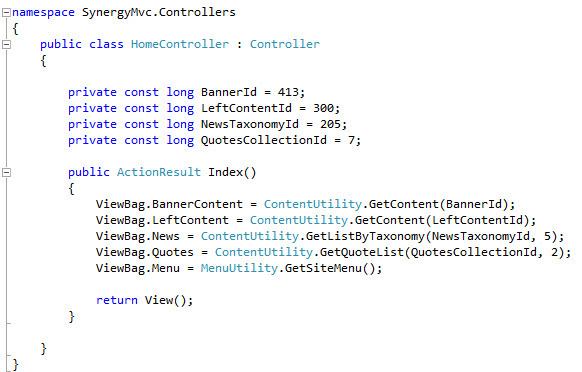 If you are looking for more information on how to implement an MVC application we have a sample below for your testing and convenience. 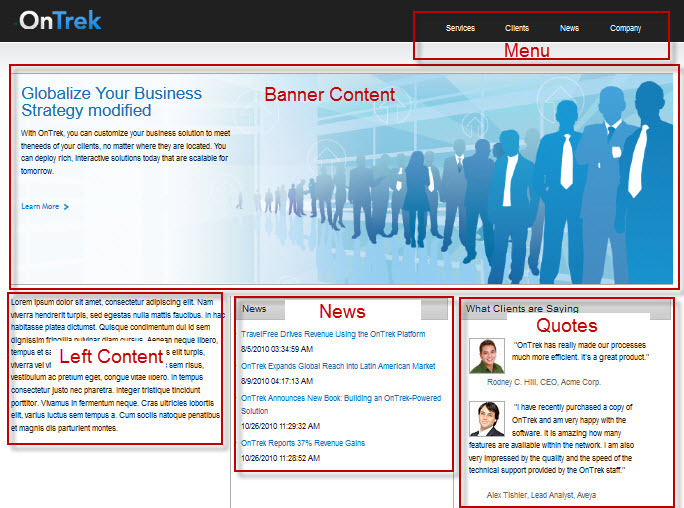 The Ektron MVC sample site is a lightweight version of the Ontrek site built to demonstrate how easy it is to build an MVC site on top of the Ektron .NET CMS. In ASP.NET MVC, you still have access to all of our Framework APIs and these will allow you to quickly start building out your site. Obviously ASP.NET Web Form based features like PageBuilder and our server controls won't work, but if you're building an MVC site, you're probably not concerned with server controls anyway. The sample solution also has a custom MVC Routing Handler that can be used to route CMS aliases to the controllers you wish to handle them. In the global.asax, you'll notice we register the AliasRouteHandler first. This way, all urls will be checked for an alias before processing other routes. If an alias isn't detected, it will fall through to the other registered routes. 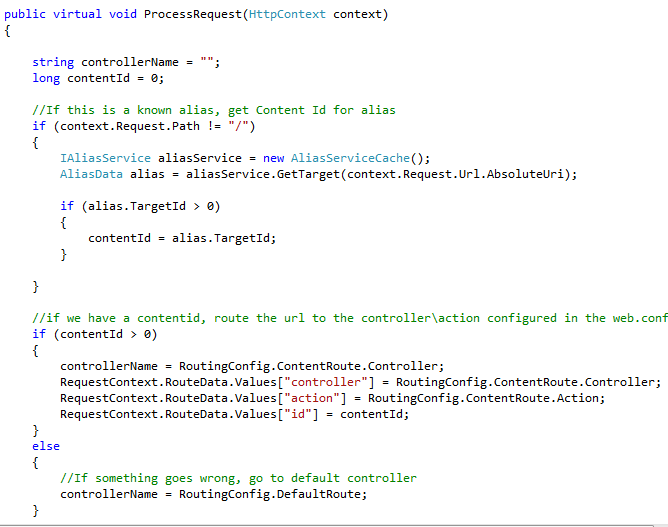 If an alias is detected, AliasRouteHandler.ProcessRequest will be executed. 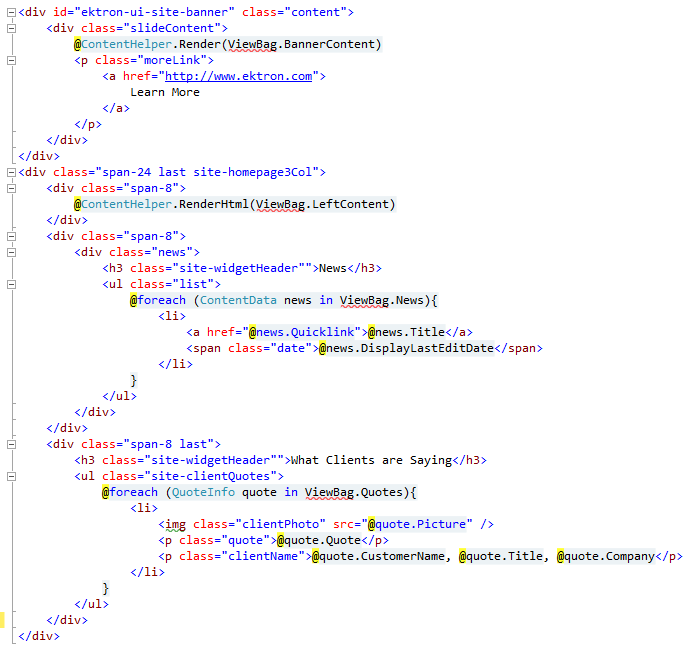 This code finds the corresponding Content Id for the url and sets the context RouteData. Hopefully this quick overview helps everyone get the Ektron ASP.NET MVC sample up and running. Once it's running, it's easy to step through and add new functionality.